The Interior Train Moving Exterior Shots, How'd They Do It? Is this the first movie? It is coming to TCM on 1-16-15 at 5:15 A.M. EST! 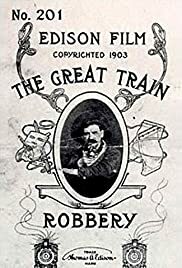 Trying to find another old silent movie train robbery movie. When's this coming out for Blu-Ray?